Milos Raonic fought back to beat Roger Federer 6-3, 6-7(3), 4-6, 7-5, 6-3 for a shot at his first Grand Slam title at The Championships on Sunday. The sixth seed came back from two-to-one sets down in three hours and 25 minutes to beat the third seed and seven-time Wimbledon champion, who had opportunities to seize momentum and the match in the fourth set. In Sunday's final, Raonic will face second seed and 2013 champion Andy Murray, who beat No. 10 seed Tomas Berdych, the 2010 finalist, 6-3, 6-3, 6-3 in under two hours. But there was a bitter taste in Federer's match after his defeat to Raonic in the semi-finals, with the seven-time former champion left ruing his missed opportunities. Trailing two sets to one, Raonic fended off break points in the fifth and ninth games of the fourth set before Federer appeared poised to take the set to a tie-break when he served at 5-6, 40/0. But two double faults from Federer allowed Raonic back into the 12th game. Thus followed a horror half an hour for Federer, who went on to drop the set and lose serve in the fourth game of the fifth set after an untimely slip. “Something went wrong. I don't know - I can't believe I served a double fault twice. Unexplainable for me really. Very sad about that, and angry with myself because never should I allow him to get out of that set that easily. “I mean, he deserved it. He earned it at the end. But I helped him so much to get back into that game. I would like to see a breaker because I was the better player for the set. Then, you know, I know he's great in breakers. It was always going to be tough. But I would have liked to see him scramble more than that. 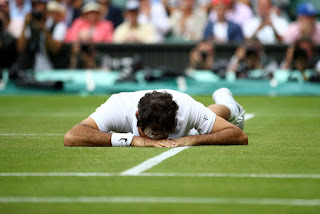 While disappointment was the overriding emotion for Federer, the 34-year-old Swiss was able to quickly put his run to the semi-finals into perspective, considering his lack of match play this season due to injuries. 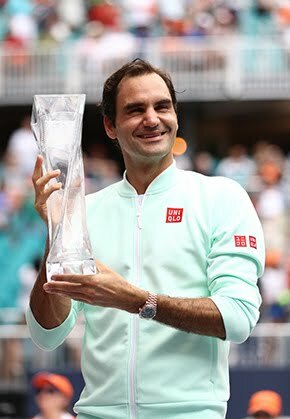 In just his seventh tournament of the season, Federer had saved match points to edge Marin Cilic in the quarter-finals to put himself one win away from a 28th Grand Slam final. 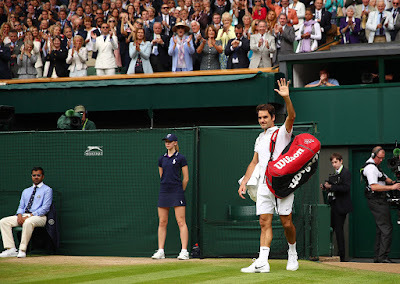 Coming into Wimbledon, Federer had been forced to miss Roland Garros before suffering semi-final defeats in Stuttgart and Halle to Dominic Thiem and Alexander Zverev respectively. “The 10 sets I played in the last two matches really gives me the belief that I'm tougher physically than I thought I was,” affirmed Federer. “I never thought I could do this before the tournament started. Actually, it's very encouraging for the season, hopefully for the rest of my career. Not that I was worried it was going to end somehow, but I was insecure coming into Wimbledon. Ever classy, Federer waited for Raonic to pack his bags at the end of the match before walking off Centre Court alongside the Canadian, stopping to wave to the crowd that had given the Swiss their full support. 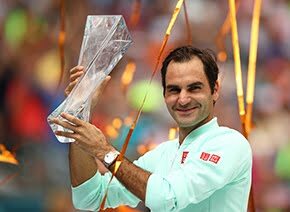 And Federer was quick to clarify that it was a wave of thanks and not goodbye to the court on which he has won seven of his Grand Slam titles. “I was looking at Centre Court as in thank you for the crowd, thank you for the great feeling that you gave me throughout The Championships. I was fortunate enough to play all my matches on Centre Court. I don't take that for granted. For me, it's respect towards Milos to wait for him. You walk off together, thank the crowd at the same time, then leave the stage for Milos really at the end. Mentally, this one will be hard to shake off; physically, the after-effects remain to be seen. The Swiss was every bit as shocked by his mid court fall in the fifth set as Raonic, the officials, and the 15,000 packed into Centre Court. “I just hope with the slip I had in the fifth set, I'm going to be fine tomorrow and beyond, Just I hope I didn't hurt myself. Then, is it a three‑day thing, is it a 24‑hour thing or is it more? I don't know at this point. I hope it's not so bad. I walked it off. I was able to finish the match.